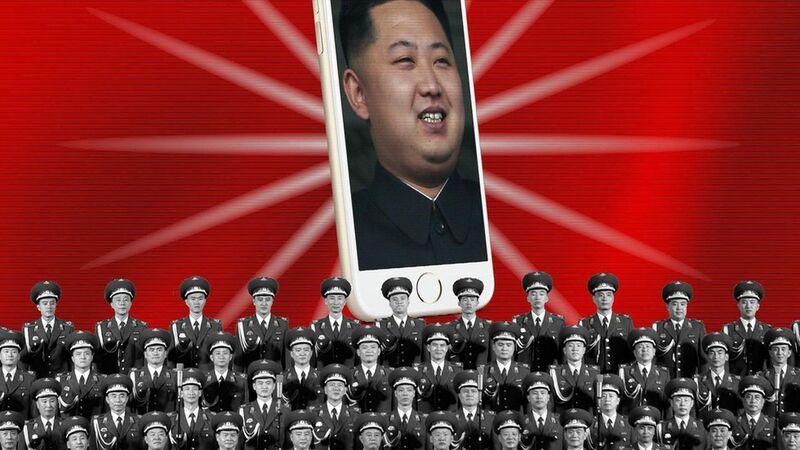 Three million North Koreans now use the intra-country cell phone network called Koryolink. That may sound like progress, but that cell phone network is just "giving the North Korean government more control," according to a U.S. government-funded report from InterMedia, which assembled its findings based on responses from 34 North Korean defectors. Why it matters: North Korea is trying to create "the appearance of development and modernization," but it's really seeking new ways to control its populace's media consumption. North Korea's surveillance state now goes "beyond what is observed even in other authoritarian states or closed media environments," the report said, and citizens are subject to monitoring from more than eight ministries and organizations. "TraceViewer," created in 2013 and installed by default on North Korean phones, takes periodic screenshots of browser history and bulk exports the screenshots to inserted memory cards, making it nearly impossible to hide non-state media. With expanded cellphone use, the government now doesn't have to rely on just human raids to gather information; it can monitor cell networks. Plus, jailbreaking North Korean phones is almost impossible, and North Korea doesn't have to rely on ISPs to spy on people in the country's network (as most other countries do), since the service provider is run by the state. Officials use jammers along the Chinese border to prevent North Koreans from using Chinese cellphone signals. Aside from cell phone monitoring, North Korea's Red Star Operating System seeks out undesirable phrases or sentences in documents and deletes them, reboots computers if users try adding firewalls, and watermarks documents to track their circulation to clamp down on non-state media. In response, North Koreans are starting to use thumb drives more since they can hold more content and are easier to share or hide during raids than DVDs. And North Koreans keep two televisions: one runs the state channel and is displayed while the other is hidden and used to watch illegal media.